It goes without saying that there has always been a large Polish population in the UK ever since 200,000 Poles made the UK home after the second world war. In 2004 the EU enlarged and with that it saw the total number of Poles in the UK rise to nearly 700,000. With Polish now the second most spoken language in the UK it leads to a greater need for Polish language TV and one of the best ways to find that is online. If you’re Polish or of Polish descent then accessing TV stations from back home in Poland is a great way of keeping up to date on Polish news and also watch Polish made TV programmes that you otherwise can’t access in the UK. One of the best ways to watch Polish TV in the UK is online but the problem is many TV station websites based in Poland restrict access to viewers in Poland so I’ve created this small guide to show you how easy it is to watch Polish TV in the UK or anywhere else in the world for that matter. When you try to access a Polish language TV service online such as TVP.pl then the website checks your internet connection. Your internet connection is assigned an IP Address which is unique to you at the time of connection. From your IP Address, any website you visit like TVP.pl can determine you are in the UK. Any website including Polish websites can easily see the country you’re in. Due to this websites in Poland showing TV services will block any IP Address that is not Polish and so with you being in the UK it will refuse to show you the programmes you wish to watch. 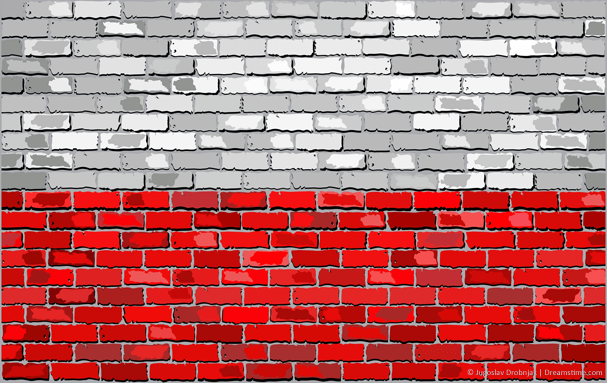 Blocked message when outside Poland. One of the best Polish TV websites especially for sport is sport.tvp.pl that shows many sporting events that you just can’t view in the UK so even if you’re not Polish then it’s worth checking out too. They recently showed the whole of the Copa America tournament in 2015 for free whereas in the UK it was only available on expensive Pay Per View TV. So to watch Polish TV in the UK you need a way of getting a Polish IP Address for your internet connection. This is done by signing up to a service called a VPN (Virtual Private Network). Accessing a VPN is simple and comes in the form of a small piece of software you download and install on your desktop or laptop but is also available in app form for portable devices like tablets and mobiles. VPN services are offered by a range of companies and as long as they offer a “Polish Server” (not all do) then it’ll be fine for watching Polish TV in the UK. With the three VPN providers listed above you can watch on any device that is compatible with the Polish TV website you’re trying to watch but for this example I’m going to show you how easy it is to watch Sport.TVP.pl with IPVanish on a Windows PC. 1) First sign up to IPVanish by following this link. 2) Once signed up download their Windows software from the Apps link on their website. 3) Next install their software. 4) Run the software from the icon on your Desktop. 5) In the country selection list find and select Poland. 8) Then press the Connect button below it. The software will now make automatic connection for you which should take no longer than 30 seconds. Once you’re connected visit the sport.TVP.pl website or whatever Polish website you’re trying to access and rather than being hit by a message telling you that you’re blocked you’ll be able to watch any of the programmes available just like if you were in Poland itself. Enjoy watching Polish TV in the UK or anywhere else in the world with this little trick.